The Havells industrial fan range presents you with Air circulators and heavy duty exhaust fans for all your industrial needs. Our air circulators provide you not only with uninterrupted air flow but also ensure that it reaches in every corner of your rooms. The heavy duty exhaust fans maintain steady cross ventilation. Manufactured by one of India's leading electrical company, they are high on quality and low on maintenance. 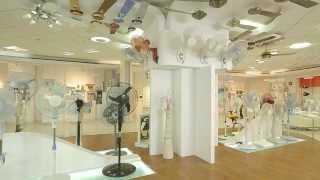 A range of pedestal and wall fans to keep that air flowing and relieve you from the heat.